If you live in a big city in the United States, you are likely to have heard the word “vegan” thrown around once or twice. Now, you may cringe at the sound of the word, over-emphasizing the “vee” sound, with an image of a long-haired, hippie running through your mind. But others of you may have perked your ears up with a charming curiosity revolving around learning more about this lifestyle. To clear up any old stigmas you may have circulating around the word vegan, in this article we will refer to this way of eating as plant-based instead. A plant-based diet is comprised of eating, (you guessed it) …plants, or simply whole foods. While on a plant-based path, one eats fruits, vegetables, nuts, seeds, grains, and legumes, while refraining from consuming any products derived from animals. No dairy, eggs, honey, and most importantly, meat (and yes, this means fish!) are eaten. This may sound mildly barbaric to some, and extremely modern and progressive to others; but according to much research, choosing to eat a plant-based diet rewards the individual’s body, the planet, and the lives of hundreds of animals each year! Before you mention the jokes about “eating like a rabbit,” and sigh at the idea of eating “boring, flavorless” salads, let us redefine plant-based. When you eat plant-based, you are removing 4 types of foods from your diet, to infuse with several varieties of fruits, vegetables, nuts, grains and seeds. Essentially, you are taking out the foods that are damaging your body, planet, and the lives of hundreds of animals for the edible substances that heal and nourish you. By eating these plant-based whole foods, you are giving your body all of the vital nutrients it needs to thrive. In addition to the flood of vitamins & minerals, and hydration, you are positively impacting the environment and promoting long-term health! 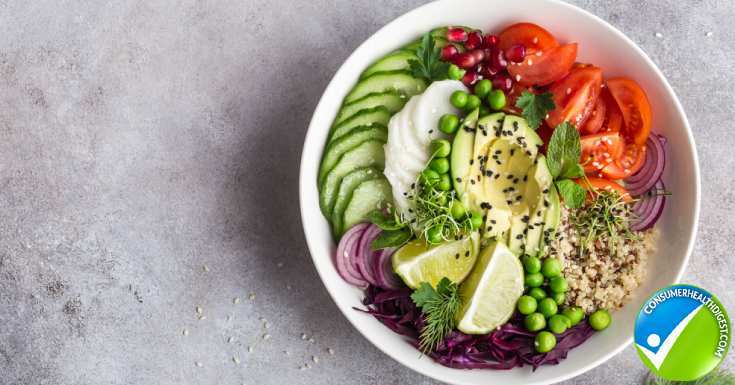 If the sound of vitamins, minerals and hydration don’t electrify your body, you may be in need of some more convincing as to why you should try out a plant-based diet. The honest truth is, what you are (or, are not) eating is NOT the primary focus of this lifestyle. Swapping animal products for fruits and vegetables has little to do with your individual food habits, and almost everything to do with the collective, amplifying benefits that come with the plate exchanges! 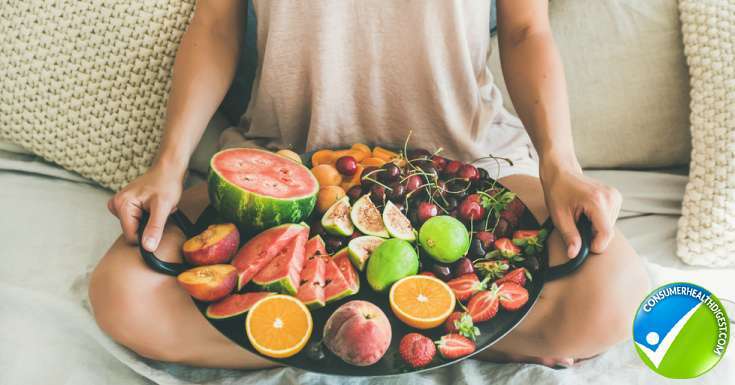 In fact, if you can shift your attention from the what (eating fruits, vegetables, grains, and seeds) to the why (benefits and reasons), then adopting this lifestyle will seem like a no-brainer! The three main reasons why everyday people are making the change from S.A.D. 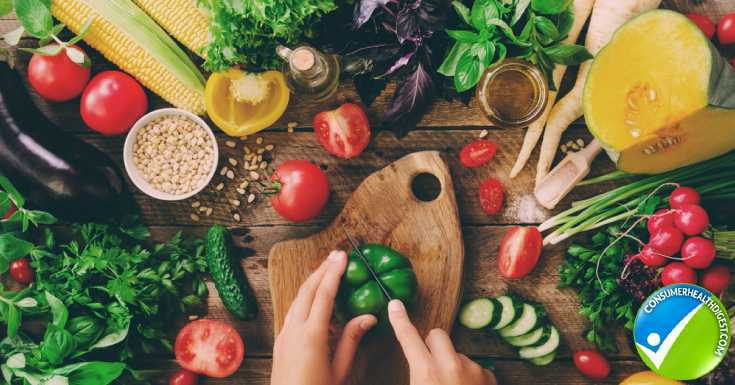 (Standard American Diet comprised mostly of meat, dairy, and processed foods) to plant-based are for the environmental, ethical and health benefits. The environmental benefits of plant-based eating usually capture the attention of people with awareness on the current state of our planet. Animal agriculture causes a huge strain on the planet’s resources by requiring giant amounts of energy, food, land, and water. These terms that have been floating over and under some people’s heads like “global warming” and “climate change” can be greatly reduced as a result of following a plant-based lifestyle. By mindfully refraining from animal products, the average vegan produces 1.7 tons (annually) of carbon dioxide LESS than someone who eats meat daily. Carbon dioxide itself plays the most critical role in regulating the temperature of the Earth’s different gases. When CO2, along with other greenhouse gases like methane and nitrous oxide, collect in our sky, they prevent heat from evaporating into space, which in turn, warms our planet. Say hello to global warming! While most people absolutely love their pets, and simultaneously believe that they do in fact love animals, let’s connect the dots. Unfortunately, however, love and appreciation and suffering and death do not fit on the same plane. Alas, plant-based eaters believe that eating animal products is just not worth contributing to the enslavement and genocide of animals! By adopting this lifestyle you can save nearly two hundred furry friends per year. If this taste of heroism is not enough to change your eating habits, consider indulging in some of the popular Youtube videos to open your mind. Want to bypass the videos of slaughterhouses and blood? Here’s a video of cuteness that may just warm your heart, and not your stomach. At the end of the day, by choosing to remove certain foods from your plates, you have the ability to save the lives of hundreds to thousands of animals. Talk about having superpowers! One of the main reasons more and more people are adopting a lifestyle centered around eating fresh fruits and vegetables, nuts, seeds, and grains is because of the numerous health benefits! Some of the benefits of a plant-based diet include increased energy levels, weight loss, clearer skin, and even reduced risks of cancer and heart disease, just to name a few! How long does it take to reap these abundant results? Well, it depends. Some people notice the change in how they feel after just one day, while it may take others a few days of detoxing to feel and see a difference. Eating nutrient dense whole foods like kale, spinach, bananas, oranges, blueberries, walnuts, and chia seeds provide your body with massive amounts of vitamins and minerals that will fuel your body to function at its optimal level! Every time you eat or drink something, you are presented with the opportunity to the make a choice. You can choose to eat animal products, whether it be bacon and eggs at breakfast or half and half in your coffee. 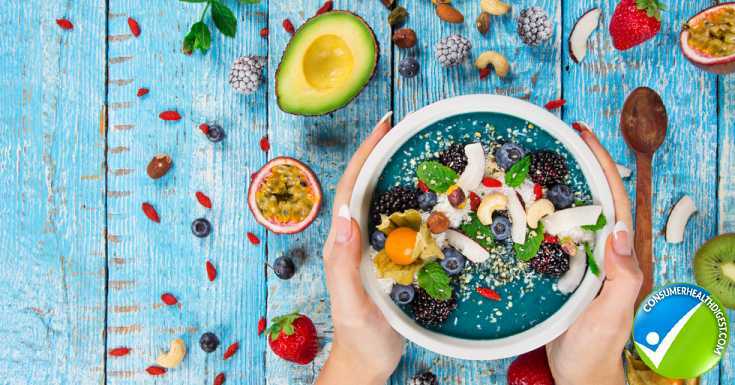 Or, you can choose to skip the animal products and focus on a colorful, plant-filled dish like a delicious green smoothie with spinach, bananas, blueberries, almond butter, and chia seeds! The former may satisfy you in the moment, but it will come at a cost of increasing the risk of weight gain, high blood pressure, cancers, heart disease, strokes, acne, bloating, as well as contributing to global warming and the death of a living being. The latter on the other hand, is the choice to eat a meal that will give you lasting energy levels, strengthen your body’s immune system, promote natural weight loss, boost nutrition, regulate organ functions, reduces cravings, and may help prevent chronic diseases! Just remember, that you do have choices. What’s yours?